My in-laws are always asking for updated pictures of my kids to have in their home. For Christmas this year, I thought it would be really fun to give them a gift that will give them those updated pictures they’ve been asking for! 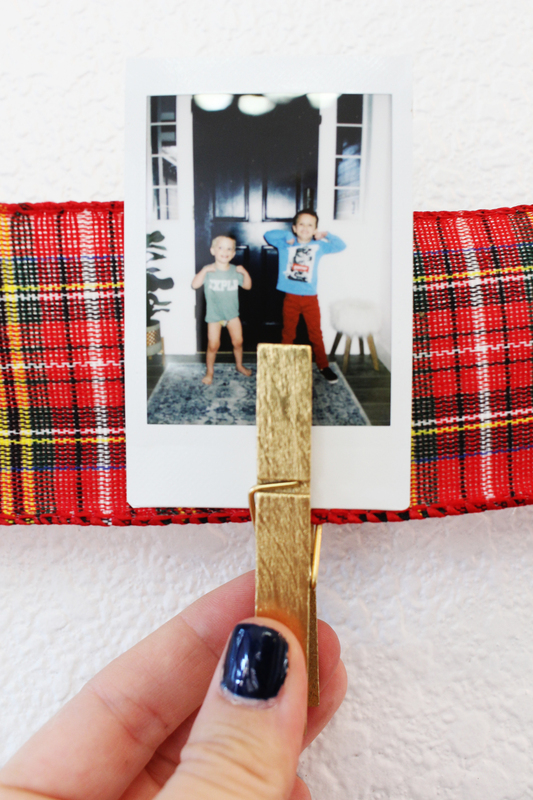 I got all my supplies for this DIY gift including the Fuji Film Instax Mini Camera at Walmart. 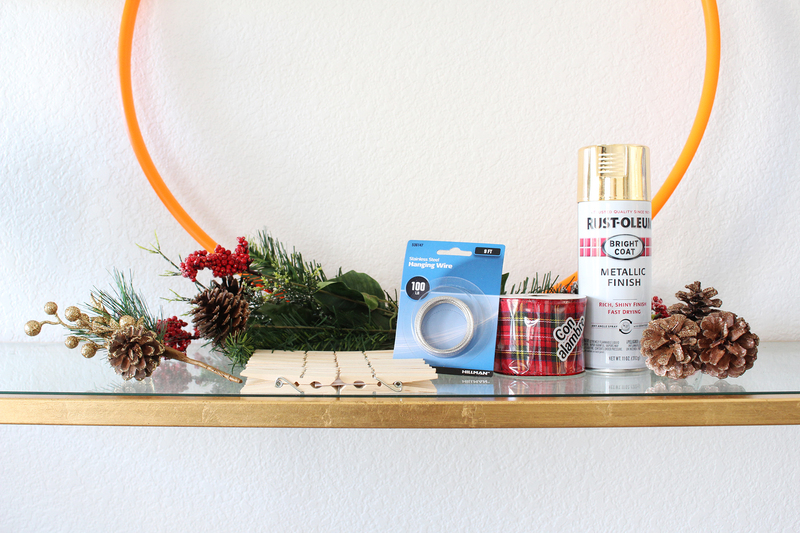 During the hectic holiday season, it’s always a win when you can make one trip to the store and get EVERYTHING you need. 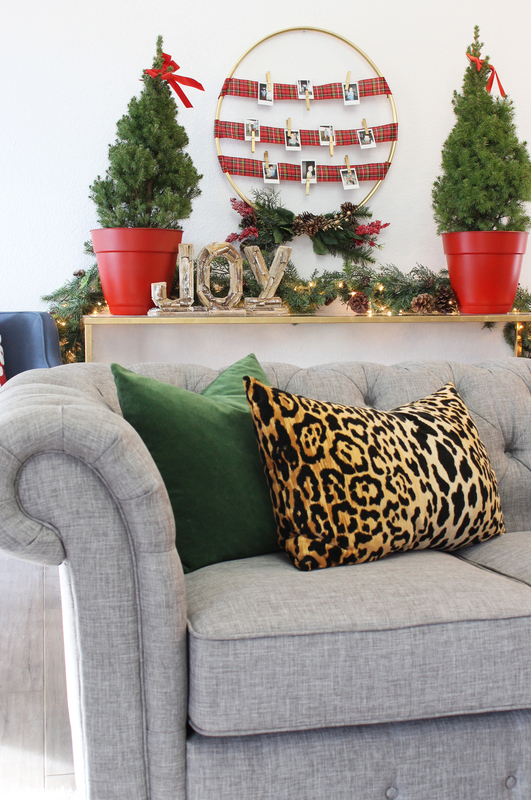 And Walmart is definitely that one-stop shop that has literally all of your holiday needs in one place – from fresh groceries to toys to craft supplies, home decor and more. 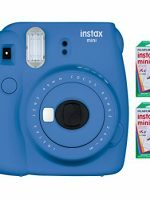 If you’re not familiar with the Instax Mini Camera, you should be! 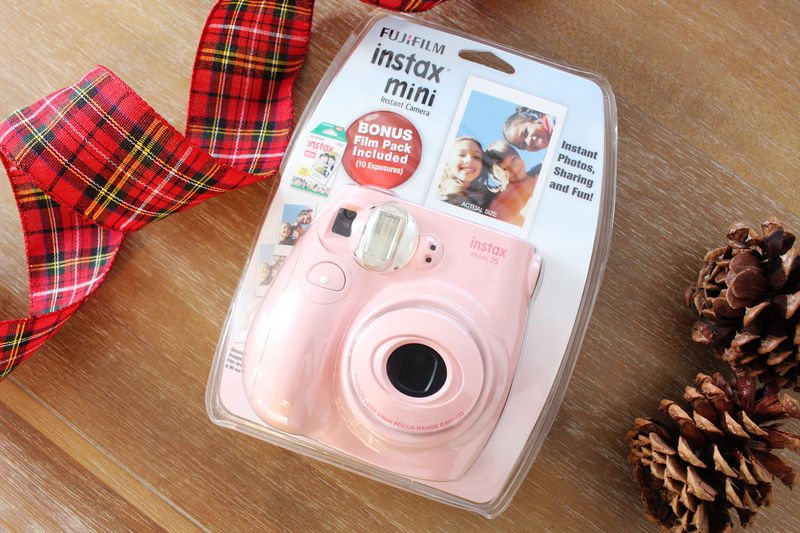 It’s the perfect under $60 gift for the photography lover in your life. 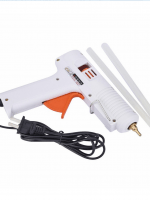 It’s adorable, compact and comes in a few fun colors. 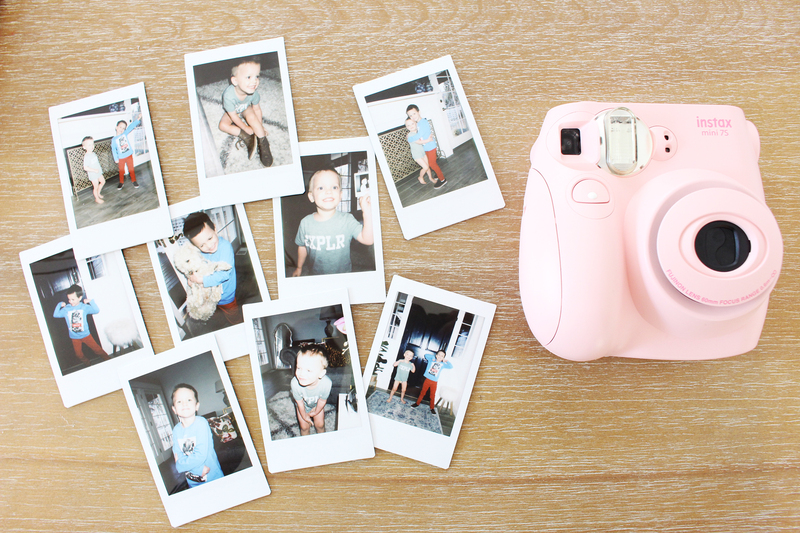 This camera is super fun to have at parties where guests can snap fun photos of themselves or just to have around the house to capture cute kiddo moments. 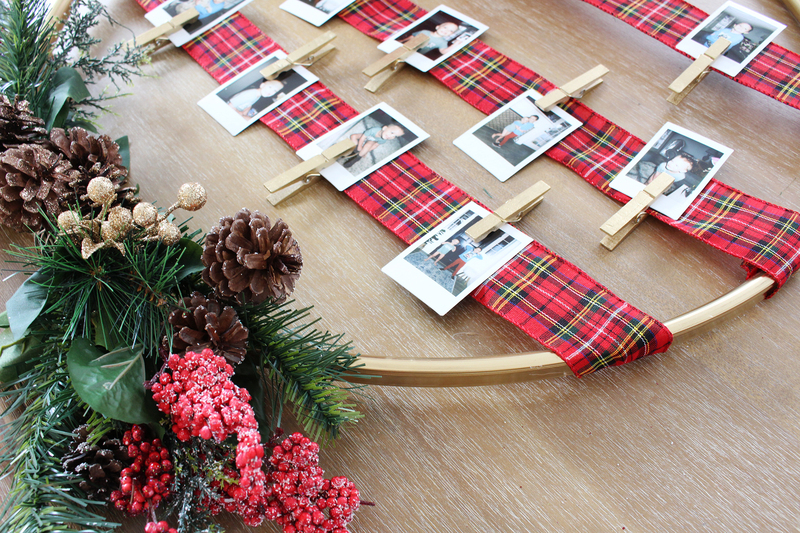 It’s definitely a memory-making gift that you need on your holiday wish list this year! First, spray paint your hula hoop whatever color you’d like. I chose gold for this project. I also spray painted the clothespins, which is totally optional. Allow all painted items to dry. 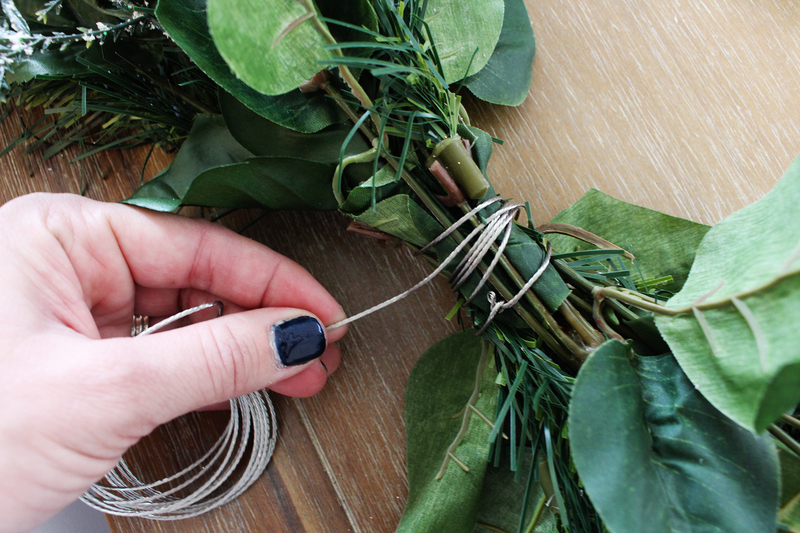 Next, use your wire to secure greenery, florals and embellishments on the bottom of your hula hoop. 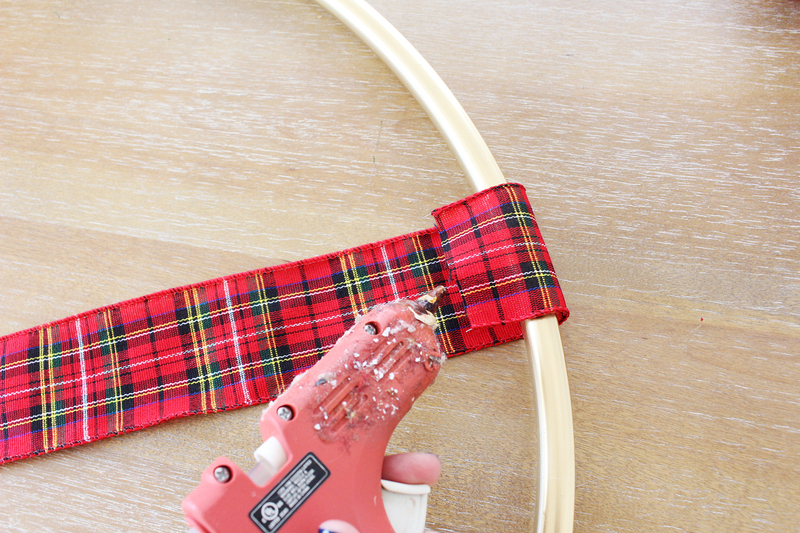 Next, String rows of ribbon across the hula hoop and secure with hot glue. Allow to cool and dry. 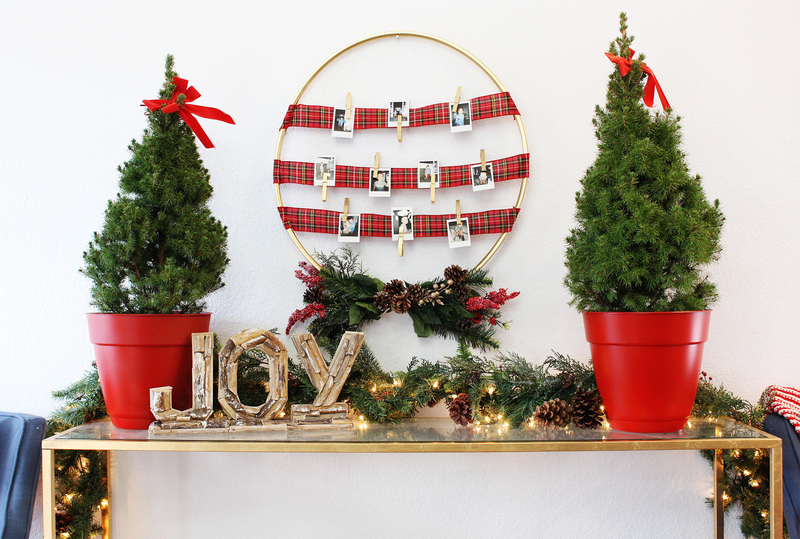 I love this idea for both photos and Christmas cards. 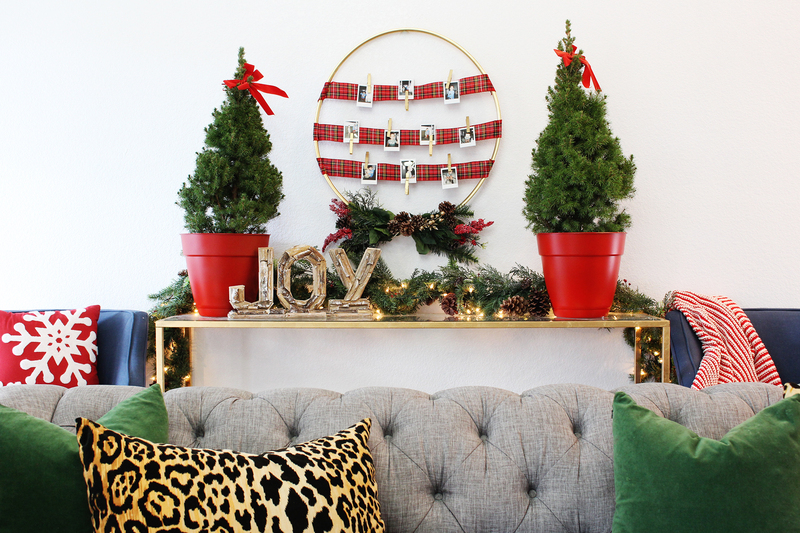 It would be so cute to hang it on a door inside the home to enjoy throughout the season. 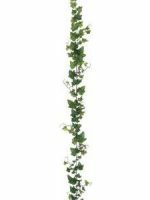 You could also customize it with non-Christmasy ribbon and florals to make a gift for any occasion. 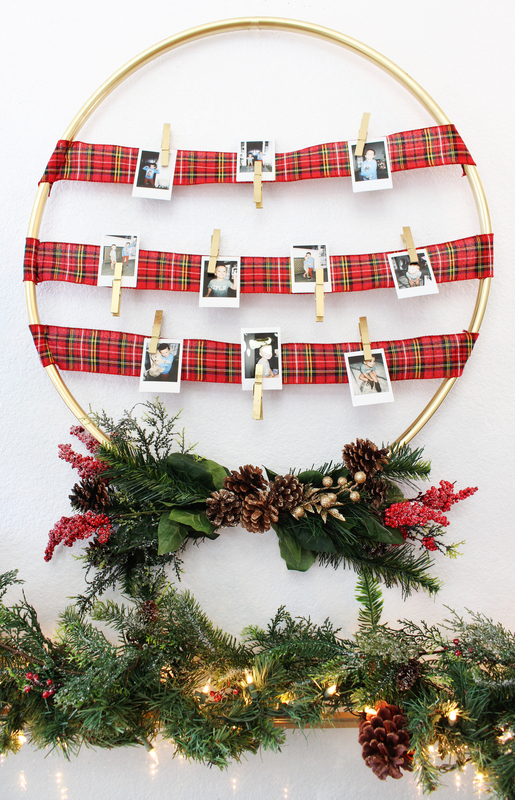 The Instax Mini Camera paired with the hoop is the most perfect gift! 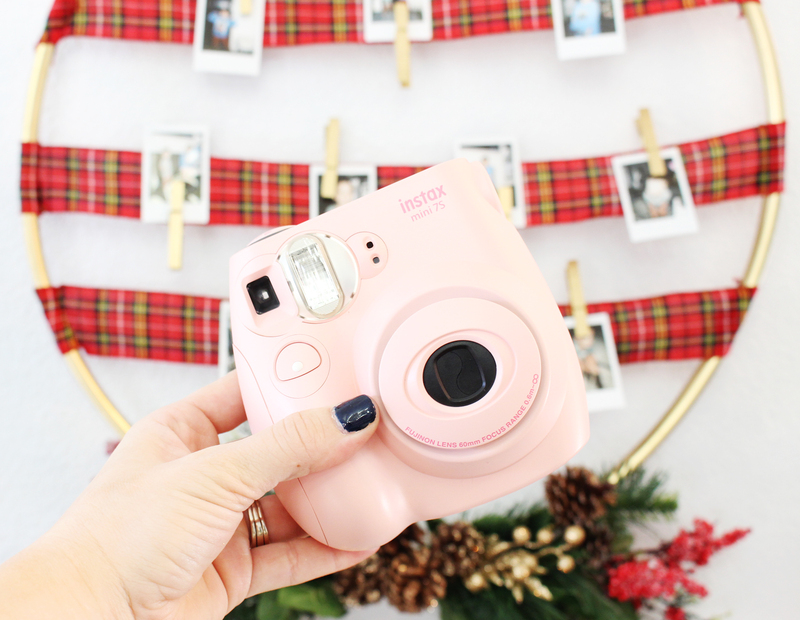 The size and convenience of the Instax photos make it so easy to switch photos in and out of the display. I sure hope my family loves it as much as I do! I love this decor. 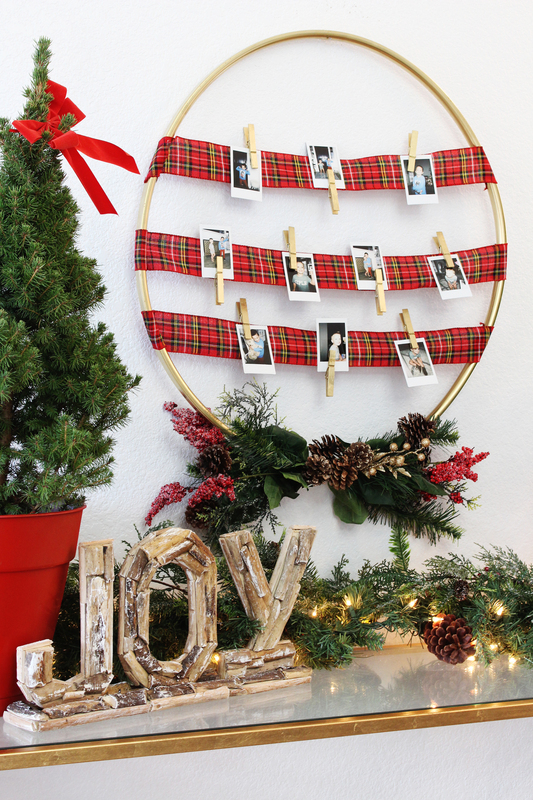 The photos and the christmas cards is a brilliant idea. I absolutely love anything about these decor.